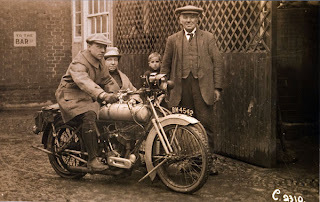 As we will be commemorating Remembrance Day tomorrow on the 11th hour of the 11th day, of the 11th month, of 2011, today's blog is dedicated to a local Bedford family and a man who courageously served his country during World War I. Commercial Road. Landlord for 28 years. Picture Courtesy of Colin Manton. I am sure that many of our reader’s local to Bedford will recognise the name Manton, after which the road Manton Lane is called. The Manton family had been potato, pig and cattle dealers and farmers connected with Bedford from 1652. 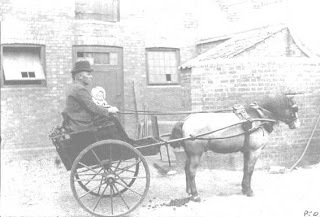 Descendant Mr Henry Manton (1845 -1922) was also a farmer and pig dealer, occupying the Hoo Farm and lane up the hill to the waterworks Reservoir off Clapham Road. One son of a family of seventeen Mantons. Courtesy of Bedford Times and Citizen, Beds Times archive, obituary printed, 5.4.1922. Henry farmed at Brickhill, Turvey Park, and Rookery as well as the Hoo. At one time he had quite a substantial property portfolio and lived in a large house in Alexandra Road. He later turned to the licensed trade as one of Charles Wells respected landlords. For over forty years he was landlord of the Swan at Clapham, the Woolpack at Commercial Road and the Hop Pole in Cauldwell Street, respectively. Henry Hector Manton (known as Harry) was born in 1895, the first son of Henry Senior and his second wife, Kate. Harry was educated at Bedford Modern School, sited then at Harpur Street with the Blore Façade (now the Harpur shopping Centre). The school now resides, rather ironically, at Manton Lane having moved in 1974 to land that was once owned and farmed by Harry’s father. The First World War broke out in 1914. 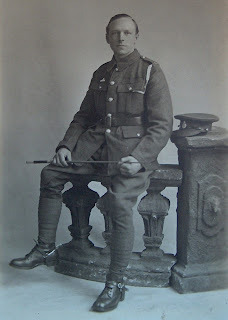 Harry decided to join the Army Veterinary Corps (AVC) in January 1916, receiving his training at Milton Ernest. He would have experienced training with horses, perhaps something like the AVC recruits featured here in this film from the Pathe archive. This was probably a good fit for a young man who was used to being around a farm and was experienced with horses. The AVC was well tested in WWI and were responsible for the welfare of the cavalry horses when they were injured on the Front. There were 2.5 million injuries treated, mainly on the Western Front and 80% of injured animals were treated and returned to duty. Without these men taking care of and treating the horses, the Allies may not have won the battle. Sadly Harry was in France just eight months, in that time receiving a promotion from Private to Sergeant, credited for his skill and knowledge of treating horses. On the 16th January 1917, only a year after he had been recruited into the Army, it was reported (according to the obituary in the Bedfordshire Times) to the family that Harry had undergone what was believed to be a successful operation for appendicitis. However, just 2 days later, further news came that he had unfortunately not recovered following the surgery and had in fact died on the 12th January, age 22. He is buried at Heilly Station Cemetary, Mericourt – L’Abbe, Somme, France. An AVC decorative badge passed down the generations of the Manton Family and recently donated to Bedford Museum, these types of objects were often given by the soldiers as presents to their loved ones. It seems likely that, although he was not directly killed in action, in being based at the 2nd Veterinary Hospital at the Somme he would have witnessed many casualties of men and horses coming from the Front over the months preceding his death, requiring both strength and bravery on his part. 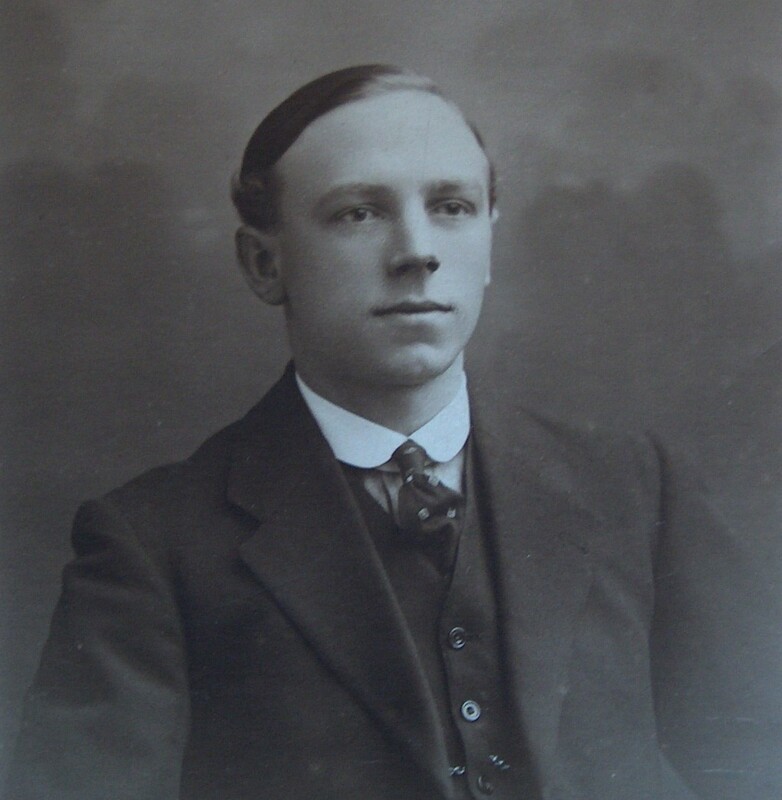 His obituary in the Bedfordshire Times on the 28th January 1917 stated; ‘He was a promising young man, and in the town and county was well known, and very popular’. and sold to troops, with the relevant 'arms being added 'AVC' in this case. 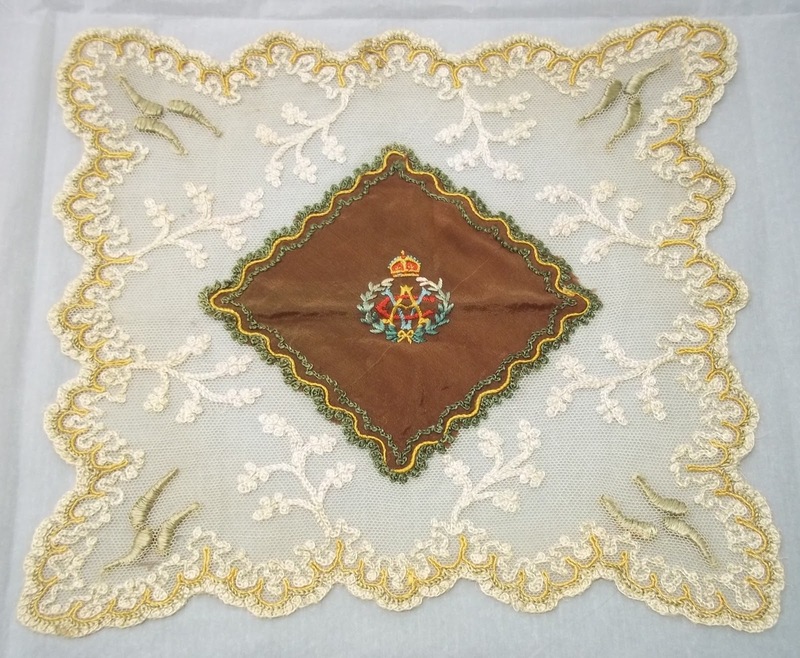 This one was bought and given by Harry Manton to his family during the war. Many families must have been relieved when the Armistice was signed between the Allied forces and Germany at Compiègne, France, marking the end of hostilities on the Western Front. This historically took effect at eleven o'clock in the morning—the "eleventh hour of the eleventh day of the eleventh month" of 1918. 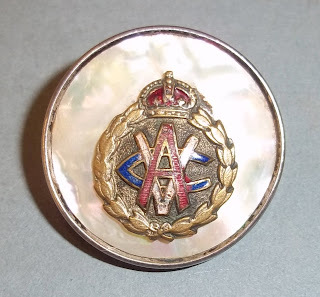 Following the end of the War the AVC was credited for its outstanding contribution and became known as the Royal Army Veterinary Corps on 27th November 1918. The Manton family grieved for their son, as have many who have lost loved ones through both World Wars and other military engagements over the last century. Give them and their families a thought and your gratitude this remembrance day for their bravery and courage to fight when our country needed them. A minute or two's contemplation seems the least we can do considering the sacrifices that have been made by these men and women. Remember 11-11-11-11. Thanks to Colin Manton and the photographs and the family tree information. Thanks to BLARS for the photographs of Henry Manton and information. Thanks to Bedford Times and Citizen for the article 'The Man of Mantons Lane', printed May 1967 and picture of Henry Manton Snr printed in his obituary in Beds Times, 5.4.1922.